4 1/2 stars. 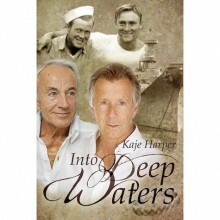 I really loved this history.A wonderful trip through the life of two sailors who fell in love in the second world war, and takes place till 2011. This is the second Kaje Harper book that I've read and it hasn't dissapointed me, Full Circle was amazing too.